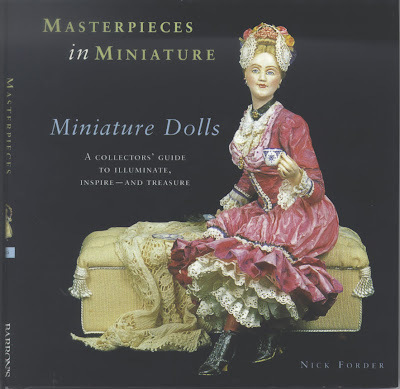 I was published in the wonderful little 3 book set entitled: "Masterpieces in Miniature Dollhouses" by Nick Forder. Michelle The cover doll above is created by Gale Elena Bantock. The entire figure including hair, dress, face is made entirely of paper and paper mache. 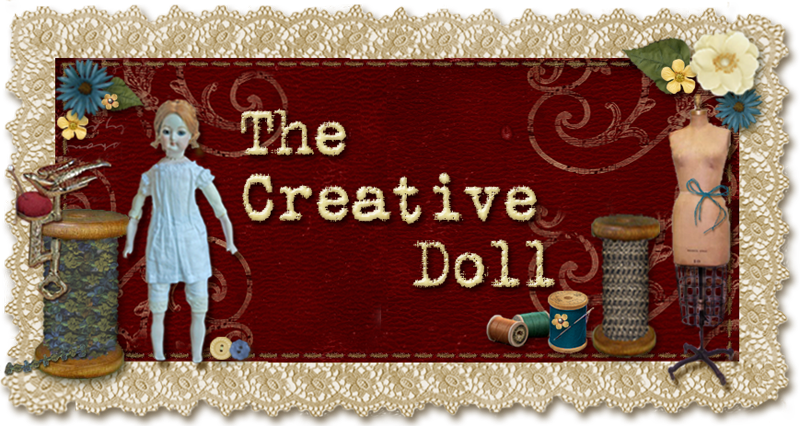 The doll itself is hand sculpted from a hard setting resin. The hair is mohair and only the clothes are paper.